In a previous post I discussed two poems of Todros Abulafia in the context of the troubadour poetry of his day. This post is the text of an academic conference paper that grew out of the previous post on Abulafia. I presented this paper at this year’s meeting of the Mid-America Medieval Association (MAMA) in Kansas City, Missouri (26 Feb 2011). Your comments are welcome. You can also view this paper as a slidecast (slides + audio) in .mov format. MLA Citation format: Wacks, David A. Recycling the Troubadours in Hebrew: Todros Abulafia, Hebrew Troubadour at the Court of Alfonso X. 35th Annual Meeting of the Mid-America Medieval Association (MAMA). University of Missouri, Kansas City. 26 February 2011. Conference paper. Many of you know a lot about trouabadour poetry – in fact most of you probably know a lot more about it than I will ever know. But I’ll bet that fewer of you are familiar with the activities of the troubadours in Spain, and even fewer with the Hebrew poets of Spain, and that is where I would like to take you today, to the crossroads of medieval Hebrew and troubadour poetry, in Toledo, Spain, in the late thirteenth century. The Hebrew poet in question is named Todros ben Meir Halevi Abulafia. We’ll call him Abulafia. He was a notable of the Jewish community of Toledo, which at the time was a very well established community boasting a centuries long history. During Muslim rule, Jewish courtiers had served the Muslim rulers of Tulaytula, and after the Christian conquest, under Christian monarchs as well. Abulafia was active at the court Alfonso the tenth of Castile, known as ‘the Learned,’ who reigned from 1252-1284. During Alfonso’s reign there were several court Jews who served as financiers, outfitters, tax farmers, and the like. He himself served Alfonso as a tax farmer and was a sort of notorious man about town, womanizer, and partier who did not hesitate to report on, and probably embellish, his exploits in his poetry. Aside from his choice of language, what sets Abulafia apart from his counterparts writing in Provencal and Galician-Portuguese is Todros’ status as a member of a diasporic religious minority. As such, he is oriented toward two symbolic centers: the biblical homeland of Zion, or Palestine, and the ancestral hostland of Sefarad, the Hebrew word for the Iberian Peninsula. This dual orientation is helpful in understanding why he writes in Hebrew, and how he adapts contemporary poetic practice into his verse. In al-Andalus, which is the Arabic word for the Iberian Peninsula, the Jewish elites participated quite fully in secular intellectual culture. They received classical Arabic educations, mastered the works of the Arab poets, and wrote treatises on philosophy, the sciences, even Jewish exegesis, in classical Arabic. They were on equal footing with their Muslim and Christian peers in the official language of the dominant culture, a language that boasted a very prestigious poetic tradition spanning centuries and drawing on the brightest minds of the Muslim world, which at the time reached from The Atlantic in the West to the Indus River in the East. The ideology that underpinned Jewish participation in the dominant poetic culture of Islam was the Quranic doctrine of dhimma, or protected religious minorities. Under Islam, Jews and Christians were guaranteed the right to practice their religions, provided they paid the jizya, or poll tax, and complied with certain social and economic restrictions. Like any other doctrine, it was applied variously and was in no way a blanket guarantee of the well-being of every Jew or every Christian in a Muslim kingdom, but it did provide a robust juridical framework for the treatment of Jews and Christians in al-Andalus, and justified their participation in all aspects of public life excepting Islamic scholarship and leadership. In the sphere of literature this meant that Jewish writers in al-Andalus were active at court in the dominant language of the court. This included poetry, and Jewish poets were regularly included in medieval anthologies of Andalusi poetry.This is the diasporic moment in al-Andalus, when Sephardic poets begin to adapt Arabic poetic practice in Hebrew, and invent a diasporic poetics with a double orientation: the symbolic homeland Zion gave them their words, drawn directly from the Hebrew Bible. Their hostland al-Andalus gave them another layer of poetics, and they drew freely and effortlessly from the Andalusi repertory of imagery, rhetorical figures, metrics, and poetic practice. The result was a thickly intertextual, intercultural poetic corpus. 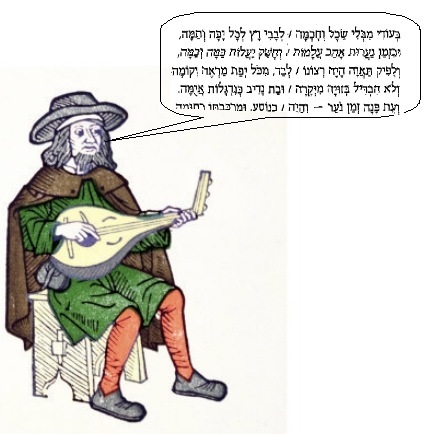 For Jewish audiences, Andalusi Hebrew poetry resonated with both the synagogue and the court. This is the poetic tradition that Abulafia inherited. However, he lived in Christian Iberia and worked at the court of a Christian monarch. Under Christianity, the situation was different. Unlike their Andalusi grandparents, Sephardic Jews under Christian kings were not typically familiar with the classical language of the dominant culture. In the 13th century, even in the face of the vernacular revolution taking place at the court where Abulafia worked, Latin was the prestige classical language, the language of the Church and of most intellectual activity in Western Christendom. Sephardic Jews were not a part of this activity. In the context of Christian government, the Andalusi literary legacy of Sephardic Jews was foreign. Prestigious, perhaps, but ultimately foreign to the great majority of Christian elites, who valued Arabic learning but were most likely to consume it in Latin or Castilian translations. The diasporic moment had changed, and the cultural terms of engagement needed to be renegotiated.At this very moment of renegotiation, a new Romance vernacular poetic practice is emergent in Castile. Just as Sephardic poets are no longer practitioners of the dominant intellectual tradition, they are becoming practitioners of the emergent poetic tradition, by virtue of their romance-language nativity. While to us this may seem like a boon, to them it was a conundrum. Before Abulafia’s time, Andalusi Jewish were both connoisseurs and producers of Arabic poetry. Nonetheless, when writing in Hebrew they sometimes made a show of denigrating Arabic tradition, in an effort to exalt Hebrew. In the Andalusi context this bluster was mostly a rhetorical trope that authors deployed as a kind of accessus in introductions to works Hebrew poetry and prose. Though motivated by a kind of linguistic proto-nationalism, it was ultimately the kind of good-natured brinksmanship one might read in medieval debate poetry of any tradition. But in Christian Iberia, this exaltation of Hebrew poetics took on a new urgency, now that Sephardic intellectuals were estranged from the dominant intellectual tradition. It may well have been sour grapes: in Toledo, for example, between the Christian conquest of 1085 and the beginning of the reign of Alfonso X in 1252, there was no thriving poetic scene in which a Jewish poet might participate. By the late thirteenth century, Poetic production in Arabic outside of Granada and Valencia had virtually ceased, and Sephardic poets had not, for whatever reason, taken to composing courtly poetry in the vernacular. Even Abulafia, whom his Jewish peers considered a notorious assimilationist and who did not hesitate to socialize, and fraternize, with Christians, he did not, as far as we know, compose in the vernacular. For him it is not really an option to adopt the poetic language of the moment. Perhaps the vernacular had not yet achieved enough prestige or historical weight for Jewish poets to adopt it wholeheartedly. It may be that Jewish poets, as a diasporic minority, felt insecure about adopting the dominant poetic language because they had no history of participating in Latin intellectual life. Perhaps the admonishments of their grandparents’ generation kept them away. In any event, it was not happening. Abulafia’s renegotiation of the Sephardic diasporic poetics was going to be different. And, while he did not compose in the vernacular he did participate in vernacular poetics. By this I mean that he expressed his orientation toward hostland poetics by adapting the themes, habits of expression, and poetic ideologies of his peers who composed in the Romance vernaculars. As we will see, Todros creates a new poetic voice that grows naturally from both the Andalusi Hebrew and vernacular troubadour traditions of courtly love. Some of this innovation is original and probably unrelated to what was going on in vernacular troudabour poetry. Todros was very creative in his use of the stock imagery and poetic strategies of Andalusi Hebrew tradtion. But in some cases it is very clear that he is in some ways, a Hebrew troubadour. This should come as no surprise, as Alfonso’s court was an important center of troubadour poetry. Some of the poets that served at his court include Bonifaci Calvo, Arnaut Catalan, Guiraut Riquer, Peire Cardenal, Cerverí de Girona, and Airas Nunes (Alvar 1977; O’Callaghan 1993: 144). Alfonso regularly employed troubadours as a sort of propaganda corps. 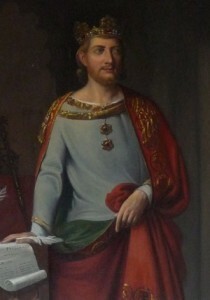 Galician-Portuguese troubadours regularly promoted Alfonso’s various political projects on the peninsula, while those writing in Provencal publicized designs on the Holy Roman Imperial throne (Beltrán 2006: 155-56). On a more formal and specific level, Abulafia adapted some of the same generic conventions used by the troubadours. The Spanish hebraist Ángel Sáenz-Badillos (1996) has demonstrated that some of Abulafia’s invective poetry is structurally and thematically very similar to the tensós and sirventeses of the troubadours among whom he moved at court. The one critic to thoroughly tackle the question of Todros’ involvement with vernacular poetics is Aviva Doron, who in 1989 published a Hebrew language monograph titled A Poet in the King’s Court (Incidentally, in the entire WorldCat system, only a single copy of Doron’s book is available, from Karl Ebershard University in Germany). Doron deals with a few different aspects of Abulafia’s work, focusing mainly on his poems dedicated to Alfonso and his love poetry. Her main points of reference are Carlos Alvar’s books on troubadouresque poetry in Spain. She makes some interesting points about Abulafia’s take on courtly love, but I would like to build on her observations today and go into more specific detail about how Abulafia’s poetry is in dialogue with the troubadouresque discourse of courtly love. His adaptation of the conventions of fin’amors is where he is at his most innovative, and where he least resembles his predecessors in Hebrew poetry. Two of his poems in particular, numbers 714 and 715 in the authoritative 1932 Hebrew edition of David Yellin express a number of aspects of courtly love unique to troubadouresque fin’amor and absent from Andalusi Hebrew tradition. In order to better make my point, I choose examples almost exclusively from Provencal and Galician-Portuguese troubadours who also wrote at Alfonso’s court and who may well have known Todros and perhaps even written and recited alongside (or in competition) with him. 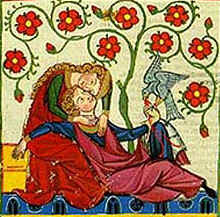 I have selected a series of quotes expressing commonplaces of troubadouresque fin’amor, or courtly love. In each case, Abulafia follows the lead of the troubadours very closely, and in the final example, as we will see, he takes it to the next level. In this poem of Abulafia it seems as if he is responding directly to Burgalés, elaborating and dramatizing an entire scene, complete with dialogue, using Burgalés’ verses as an outline. The poet and the skeptic are in the middle of a heated exchange over the futility of the poet’s unrequited love, when the lady herself happens by, trailing with her a cloud of perfume, and illuminating the dark night with her radiance. As you can see, the skeptic is completely won over, and his exuberance exceeds even that of the poet himself in these final verses. I’ll let Abulafia speak for himself here…. When he said: “What is with you, sleeper? (Jonah 1:6) Look: There goes ‘that certain lady,’ Arise! Behold her beauty! a treadstone for her, and to lick the dust from her foot! Neither Abulafia’s religion nor his choice of poetic language prevented him from participating in vernacular poetic practice, even if Abulafia was not composing in the vernacular. While much of Abulafia’s divergence from Andalusi poetic conventions were idiosyncratic, in some poems, his discourse of courtly love bear clear influence of contemporary troubadours who worked at the court with him. For a diasporic writer working between a diasporic classical tradition and an emergent vernacular tradition, the question of influences is not a zero sum game. This is typical of any case of cultural production where an artist is drawing on more than one linguistic or religious tradition. The Sephardic case is distinct only in the specifics, but there is nothing structurally unique about Abulafias position as a diasporic poet. While far from exhaustive, I believe the examples we have seen today are sufficient to demonstrate Abulafia’s participation in the troubadour poetics of his day in Alfonso’s court. He has moments of unadulterated fin’amor (pun intended) cast in Hebrew, giving expression to a vernacular love aesthetic in a classical language that is unknown to his peers composing in the vernacular. His is a uniquely diasporic poetics in which the voices of troubadours, Andalusi poets and Biblical prophets echo back and forth in time, and across the mediterranean. Abulafia, Todros Ha-Levi ben Yehudah. The Garden of Parables and Saws, A Collection of Poems [Hebrew]. Jerusalem, 1932. Alvar, Carlos. La poesía trovadoresca en España y Portugal. Madrid: Editorial Planeta; Real Academia de Buenas Letras, 1977. Alvar, Carlos, and Vicente Beltrán, eds. Antología de la poesía gallego-portuguesa. Madrid: Alhambra, 1985. Beltran, Vicenç. 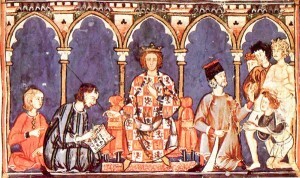 “Trovadores en la corte de Alfonso X.” Alcanate: Revista de estudios Alfonsíes 5 (2006): 163-190. Calvo, Bonifacio. The poems of Bonifacio Calvo a critical edition. Ed. and Trans. Robert Horan. The Hague: Mouton, 1966. Cardenal, Peire. Poésies complètes du troubadour Peire Cardenal (1180-1278). Ed. 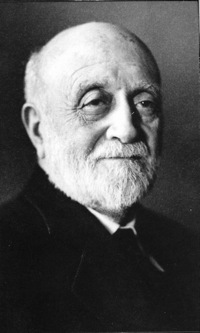 René Lavaud. Toulouse: É. Privat, 1957. Doron, Aviva. A Poet in the King’s Court: Todros Halevi Abulafia, Hebrew Poetry in Christian Spain [Hebrew]. Tel Aviv: Dvir, 1989. Jensen, Frede. Medieval Galician-Portuguese Poetry: An Anthology. New York: Garland, 1992. 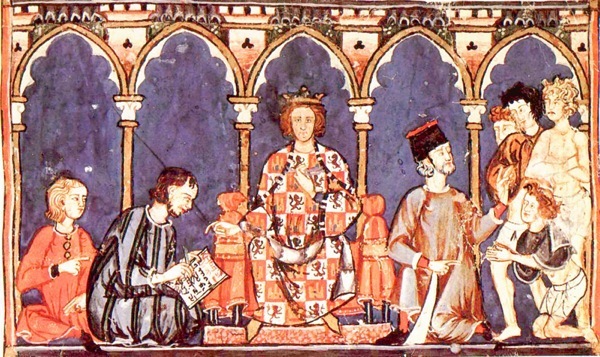 O’Callaghan, Joseph F. The Learned King: The Reign of Alfonso X of Castile. Philadelphia: University of Pennsylvania Press, 1993. Sáenz-Badillos, Ángel. “Hebrew Invective Poetry: The Debate Between Todros Abulafia and Phinehas Halevi.” Prooftexts 16 (1996): 49-73. Todros Ben Yehudah Halevi Abulafia (1247- ca. 1295) lived and wrote in Toledo in the second half of the thirteenth century. He was active at the court of King Alfonso X “the Learned.” Among Hebrew poets in Christian Spain, Abulafia was unique in several ways: he was the only Jewish poet to enjoy the direct patronage of a Christian king, and dedicated several poems to Alfonso. He was, even among Jews who held positions at court, considered more assimilated, more given over to life among the gentiles, and a famous womanizer, and a partier. He documented some of these exploits in his poems, some of which are excerpted in Peter Cole’s Dream of the Poem (2007). There is also a 2009 Hebrew selection edited by Israel Levin. Abulafia is a diasporic poet who is a shadowy outsider from any angle. After 1492, he became a poet without a state. In Spain he is virtually unknown, despite having written hundreds of poems at the court of that country’s most intellectually important medieval ruler. He is not mentioned in any of the studies of the Christian troubadours who wrote and performed at Alfonso’s court. He scarcely appears in historical studies of Alfonso’s reign (see Wacks 2010, 194 n 38), even in those that deal specifically with the boom in arts and letters for which Alfonso X is famous (and the reason why he is known as ‘the Learned’). Jewish scholars have viewed him at times with admiring curiosity, at times with disdain. He is still a bit of an enigma. Peter Cole aptly sums up the diverse opinions scholars have formed of Abulafia: one called him “one of the greatest poets of whom the Jews can boast,” while others dismiss him as a “mediocre epigone” (2007: 493). Abulafia lived at a time when the upper classes of the Jewish community of Toledo were waging a sort of culture war. One side leaned toward assimilation and materialism, another toward traditionalism and piety. This division was personified in Todros ben Yehudah Halevi and his relative, the ‘other Todros’: Todros ben Yosef Halevi Abulafia, a prominent Talmud scholar and Chief Rabbi of Toledo. The story behind his collected poems (diwan) is something that Cervantes (that master of the “found manuscript” conceit) might have cooked up. Up until the late 19th century, scholars of Spanish Hebrew poetry were familiar with Abulafia’s name and had found a few of his poems, but he was a minor player, a footnote. As it turns out, he had written and compiled a huge corpus of his own work – some twelve hundred poems. Abulafia was one of the first poets in Hebrew or the Romance languages to compile his own diwan (collected poems), although this was standard practice among medieval Arab poets. In the 17th century, an Egyptian Jewish scribe made a copy of Abulafia’s diwan. It passed from one antiquities dealer to another and eventually found its way into the hands of Saul Abdallah Yosef (1849-1906), an Baghdadi Jewish businessman and accomplished amateur scholar. Yosef made a copy of the manuscript and brought it back to to his home in Hong Kong. The Romanian-British Jewish scholar Moses Gaster published a facsimile edition of Yosef’s manuscript, which the Israeli scholar David Yellin used as the basis for a 1932 critical edition. Yosef’s discovery of the manuscript fairly doubled the corpus of Hebrew poetry from the time of Alfonso X, and radically changed our understanding of the poetry of 13th-century Spanish Jewry. Most interesting about Abulafia is his reception by contemporary scholars. From where I’m standing, as an American Jew living in the 21st century, it doesn’t strike me as at all strange that Abulafia’s poetry sounded like the poetry of his Christian peers. I imagine that even if US Jewish authors typically wrote in Hebrew, their writing would be full of material from American movies, popular music, novels, and poetry. This is precisely what happens with Abulafia’s poetry. He talks about love, at least part of the time, like a Provencal troubadour. Without abandoning the Hebrew poetic tradition of Muslim Spain, he fully participates in the literary tastes of his time, tastes shaped by the Romance-language literatures practiced in Castile. Scholars of Abulafia, Judaism aside, bring to the table very different cultural formations. Most are European Jews who relocated to Palestine before World War II. Their take on Abulafia’s relationship to the cultures of homeland (Jewish) and hostland (Spain) are conditioned by their own relationships to their various homelands and hostlands. Saul Abdallah Yosef was an Arab Jew, who grew up in Baghdad in a very large and vibrant Jewish community that (it being before 1948) was far less conflicted about their Arab-ness than Mizrahi Jews would come to be in post-1948 Israel. His own (relatively) untroubled biculturality allowed him to appreciate Abulafia’s ease with Christian culture. Likewise, Moses Gaster (he was the one who called Abulafia “one of the greatest poets”) was a Romanian Jew who became a British citizen, and an expert on Romanian folklore in addition to Hebrew literature. For him it would have been natural to celebrate Abulafia’s biculturality. Those critics who were born in or migrated to Palestine/Israel had a different orientation. The Zionist experience reintroduced Jews to sovereignty as once -symbolic homeland suddenly became a modern state. This changed dynamics between diasporic (hostland) and Jewish (now also Israeli) culture, and this changed how critics talked about Abulafia’s poetry. 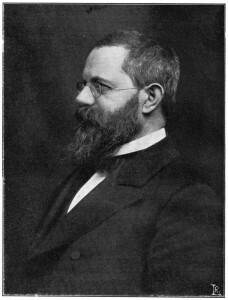 Heinrich (Henrik, then Hayyim) Brody was Chief Rabbi of Prague and a leader of the Zionist movement in Austro-Hungary before emigrating to Palestine. Together with David Yellin, a native Jerusalemite and fervent defender of Hebrew education (there is a teacher’s college named after him in Jerusalem), Brody dismissed Abulafia’s troubadour-inspired innovations as “mediocre” (cited in Cole 2007: 243) The Romanian-born Israeli scholar Ezra Fleischer, best known for his studies of liturgical poetry, likewise held Abulafia’s assimilating ways in low regard. Hayim (Jefim) Schirmann, who succeeded David Yellin as Chair of Medieval Hebrew Poetry at Jerusalem’s Hebrew University and edited the landmark anthology Hebrew Poetry in Spain and Provence (1954-56), held a very different opinion of Abulafia’s cosmopolitanism. Schirmann, though born in Kiev, attended gymnasium and university in Berlin, emigrating to Palestine in 1934. He was an avid violinist whose interest in music guided his academic interests. He was so committed to secular culture that he lobbied to repeal the ban on the performance of Wagner’s compositions in Israel. Schirmann was not going to let politics get in the way of a good opera. Among Israeli critics he most clearly vindicates Abulafia’s ‘troubadourism’ as a natural characteristic in a diasporic Jewish author. The more Zionist critics of Abulafia tend to regard his innovations as a sort of ‘betrayal’ of Andalusi poetics (i.e., the poetic style typical of the Jews who lived in Muslim Spain). By the first half of the twentieth century, Andalusi Hebrew poets such as Samuel Hanagid and Moshe Ibn Ezra were firmly established as the grandfathers of modern Hebrew literature. It is somewhat ironic that a generation of European-born critics considered the undeniably Arabic style of the Andalusi Hebrew poets to be the ‘poetic homeland’ of modern Hebrew, while the European-influenced poetry of Abulafia was for them ‘foreign’ and somehow, disloyal to Jewish values. Barzilay, Isaac. “Hayyim (Jefim) Schirmann (1904-1981).” Proceedings of the American Academy for Jewish Research 49 (1982): xxv-xxxi. Cole, Peter. The Dream of the Poem: Hebrew Poetry from Muslim and Christian Spain, 950-1492. Princeton: Princeton University Press, 2007. Levin, Israel, ed. Shirim. Todros Ben Yehudah Halevi Abulafia. Jersualem: Tel Aviv University 2009. Schirmann, Jefim. Hebrew Poetry in Spain and Provence [Hebrew]. Jerusalem; Tev Aviv: Mossad Bialik; Dvir, 1954-1956. Wacks, David. “Toward a History of Hispano-Hebrew Literature of Christian Iberia in the Romance Context.” eHumanista 14 (2010): 178-209.